Practicing the practice of writing, mainly about getting a PhD. 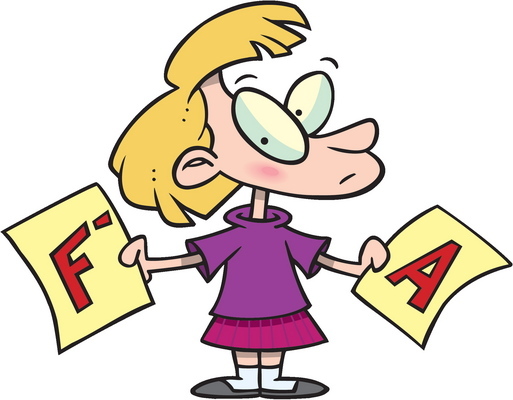 As a second-year PhD student, I’ve gotten used to the grading system of grad school: all students get As, except when you get a B, which might as well be an F. In other words, you either cut it or you don’t. They probably should just make all classes pass or fail at this point in your graduate school career. I’m also not used to getting anything less than an A, ever. How do you think I got to this point anyway? I’m going to take a guess and say not many below-A (maybe below B+) students decide to become a career student (yes, I said “career student”—let’s just call it like it is). I took some time this week to think about the last time I got anything other than an A for a final grade. (In case you are wondering, it was freshman year of college when I blew-off University Choir in favor of naps and re-runs on TLC; yes, I got a B in choir…har har har). This semester, however, has been somewhat of a deviation from my previous experiences. Not only am I literally barely passing a statistics course, but I also have a professor that has, thus far in the semester to my knowledge, given one student an A on any assignment we’ve had in her course. Uncharacteristically, I am not exaggerating. I have gotten Fs on my past two stats homework assignments, and homework is worth 50% of our grade. In case you’re not so good with the math (in which I apparently am no genius either), I’m well on my way to getting a grad-school equivalent of a big fat fail in this required course. Yay. As for the other class, my professor who just can’t bring herself to give any of my work an evaluation higher than a B, just gave our class a speech about how her grading reflects her honest evaluation of our work at a high-caliber institution such as ours. Oh, lovely—that makes me feel SO much better. She’s basically saying that she’s not sure why we were even admitted here, as we apparently can’t meet up to the standards. I actually thought I liked her at the beginning of the semester. Today was a special moment in stats class. I got my midterm back, and it was a 97%. What.the.heck. Believe me when I say that after that exam, I was so confused about how I did that I had to resign myself to failing. It was not a case of, “Oh, you always do that but then you always get an A”. No, friends, this truly was a ridiculously confusing test that I apparently guessed my way through pretty well. In my mind, the A was the same as an F. I went into office hours and told my TA that I didn’t understand, but he didn’t believe me. I asked a question about the one part that I missed points on and totally didn’t understand what he was explaining to me. I, of course, sat there, nodded my head, and then told him I didn’t understand. He just smiled, shrugged, and said, “Well, you did well on the test, so I wouldn’t worry too much.” You’ve got to be kidding me. On the other hand, in my other class, I feel like I am learning so much and am even able to apply that knowledge to my research. Yet, I can’t get an A to save my life. In that case, I don’t think the grade is at all reflecting what I’m learning, but in the opposite way. What.the.heck. Obviously, I have to dig my heels in and try harder in both of these courses. For the one, I’m going to have to re-arrange my work schedule to make time to go to my stats TA’s office hours. Me + my TA = BFFs is my new model for statistics class. I’m hoping that the more time I spend in office hours will have a positive linear correlation to my understanding of the material (yeah…I don’t even know what that means). At this point, I just want to pass. Forget the A—just help me avoid the F. For the other course, I’m going to have to spend more time on my writing assignments, and raise the bar a little higher for myself. In both cases, what I am doing right now just isn’t cutting it. I need to change my approach (or else change my career, and we all know that it’s a little too late to turn back now). What is the point of a grade in grad school? In both of these cases, it is not a fair evaluation of what I am learning in these courses. In some ways, it is purely an evaluation of my instructor’s expectations. I have had to adjust my own expectations, in the mean time. It’s no longer about being a straight-A student. I’m pretty sure jobs are not going to care what my GPA was during my second year of my PhD; instead, they’ll care about if I actually finished my dissertation (Lord, please don’t let me die ABD). Now, apparently, what is important is learning, and no one is keeping me accountable for that. Only I know if I am learning, and only I can make myself do that. Learning, not the grade, is what I have to focus on. If only there was something out there that institutions used to hold me accountable to learning…like a grade…-_-.